With a population under 1,000, McBain is a small sleepy town in Missaukee County, Michigan. 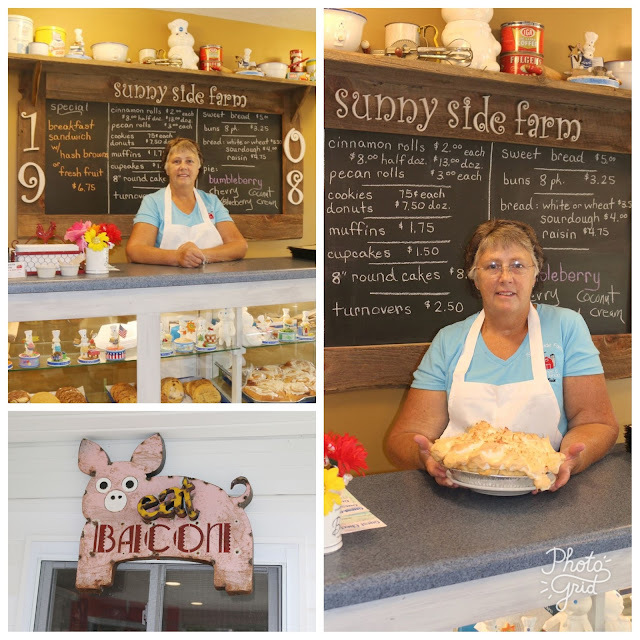 The GF's family regularly spends their summer weekends by Missaukee Lake and luckily for me, I had the pleasure of indulging in some stick-to-your-ribs and down-home eats at the popular McBain breakfast & lunch spot, Sunnyside Farm. 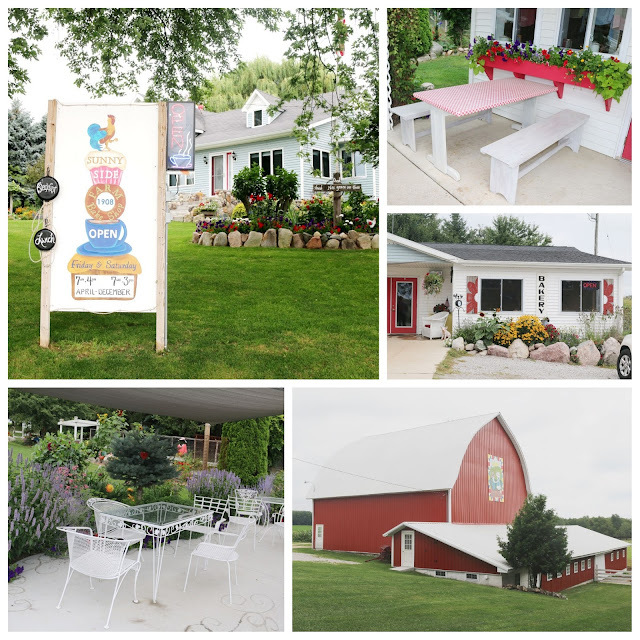 As you drive up to the picturesque farm, you'll first notice gorgeous red and white barn overlooking the bakeshop itself. Opened in 2015, delightfully quaint does not aptly describe the al fresco seating by the garden and patio. Trust me - it's needed with the overflow they get for their delicious breakfast and lunch fare. If you don't have time to dine in, feel free to pop on in to pick up cupcakes, cakes, pies, and of course, Pam's famous cinnamon rolls! Originally owned by the DeBoer's in 1908, Sunnyside Farm was purchased in 1955 by Pam (Hendricks) Pluger's parents in 1955. And currently, Pam & Mike Pluger own and run the daily operations of the farm itself. 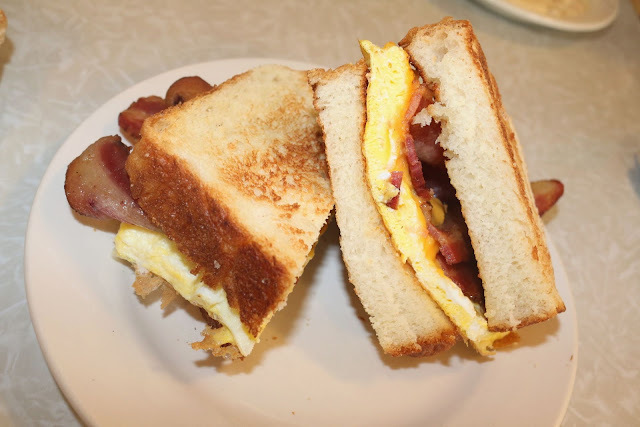 Since 2000 (because there wasn't already enough to do), Pam operated a successful baking business which was parlayed into the Coffee & Bake Shop, much to the delight of McBain's residents and guests. The GF went with the breakfast special which featured a little bit of everything. Eggs were fresh, with the over-easy yolks oozing into each crevice of those delicious hash browns. 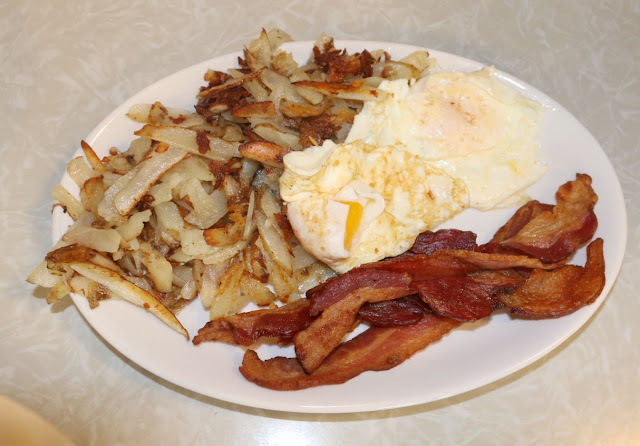 Shaved thinly, the lightly seasoned spuds were crisped on the griddle to provide nice texture. And the bacon? Unreal! Thick-cut, crisp, and with plenty of heft, I had to steal a slice. I'm sure the bacon gods will forgive me. Not to be outdone, Pam's bread program is on point. House sourdough was thickly cut, buttered and toasted, with plenty of pillowiness within. Emanating that mild tang you'd expect, this was perfect to spread with the housemade strawberry jam. I went with the breakfast sandwich which was housed within that spectacular sourdough. Substantial housing indeed because it had to hold eggs, cheese, and more of that bacon. 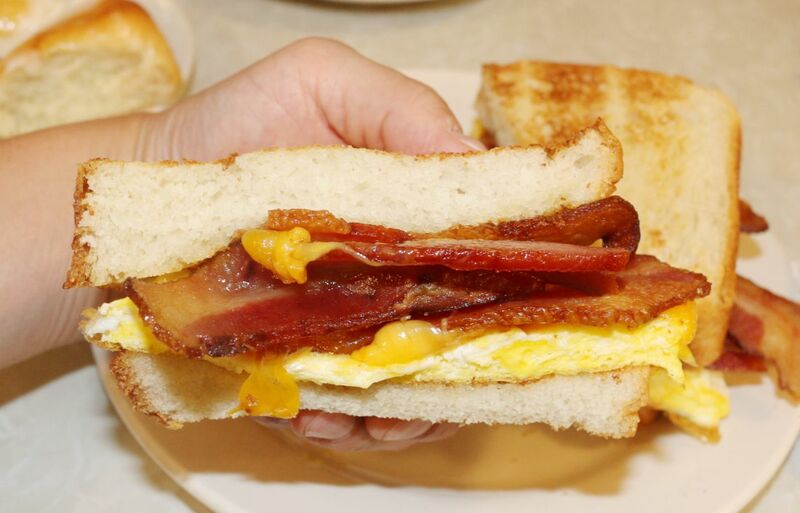 Don't worry, there's plenty of bacon in this sandwich to satisfy any porcine palate. Not to be outdone, I had to try the biscuits & gravy. 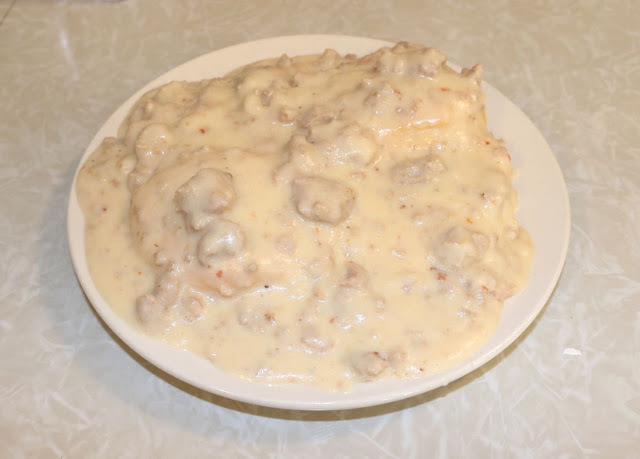 Large chunks of well-seasoned sausage studded the thick country gravy. And yes, somewhere underneath it all were the pillowy, buttery biscuits. Stick-to-your-ribs for sure, but I downed it all. Much to the surprise of patrons at a neighboring table who had to let me know they were impressed. I aim to please. Pam bakes 600 dozen of her famous cinnamon rolls every year. So if you're keeping count, that'll satisfy the sweet tooth of every McBain resident! 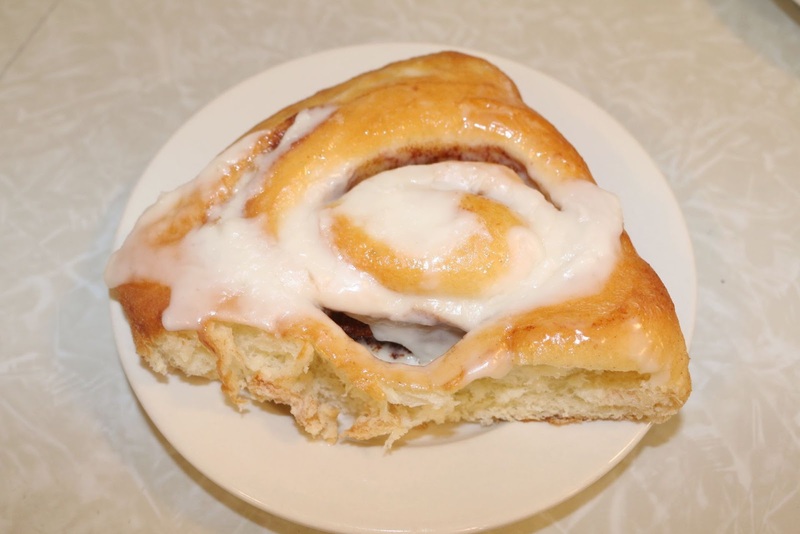 And certainly, her cinnamon roll was the sweet ending to my meal at Sunnyside's Coffee & Bakeshop. 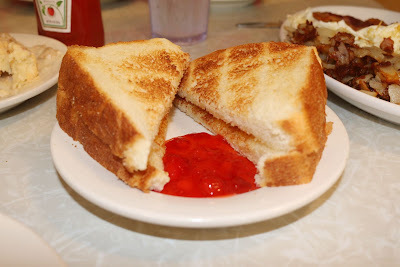 A nice contrast in textures, this was buttery, sweet, and everything you'd want for your final bite. So if you're headed "Up North" as they say in Michigan or if you're simply hankering for some comfort classics, be sure to stop by Sunnyside Farm. Pro-tip: they're only open on Fridays and Saturdays from 7AM to 4PM and 3PM, respectively. For my money, I'd head over on Fridays to beat the crowds. But if you can't make it during those hours, trust me - it's worth the wait! Excellent food & Great service. Never been disappointed. Don't get there often enough. Definitely embodies service with a smile. Only been there once and itching to go back the next time we're by Missaukee! Pam makes the best cinnamon rolls anywhere. I have bought them and picked up on Christmas eve for Christmas morning breakfast at my Mom's in Grand Blanc. Agreed! Friends of ours bought two dozen a few days after we stopped by and the rolls were perfect the next morning!